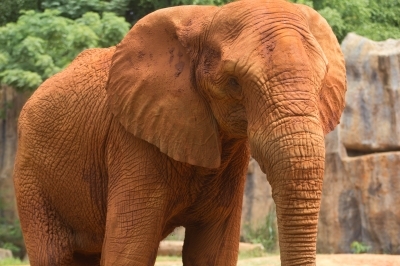 A new report says the British zoo licensing and inspection system is failing to guarantee essential animal welfare standards in zoos. The study found that only 22 out of 136 zoos were assessed as meeting all the animal welfare standards at consecutive inspections and one or more of the same criteria remained substandard at consecutive inspections in more than one-third of zoos (35%). The report, carried out by researchers from the University of Bristol and the Born Free Foundation, has also found zoos that were members of a professional association, such as the British and Irish Association of Zoos and Aquarium, did not significantly out-perform non-members. The researchers found bird parks and farm parks performed the least well. The Born Free Foundation is calling on the Government-appointed Zoos Expert Committee and relevant licencing authorities ito consider this new evidence and bring forward urgent new measures to ensure that all licensed zoos are meeting their legal and moral obligations to the animals in their care and to the paying public. Will Travers, CEO of the Born Free Foundation, said: “British zoos often claim to deliver higher standards than others around the world, but this study adds further weight to our conviction that we should not forget what is happening on our own doorstep. “It is very concerning to see the range of problems that still afflict British zoos and their animals, and to discover that so many are failing to meet, let alone exceed, minimum animal welfare standards.